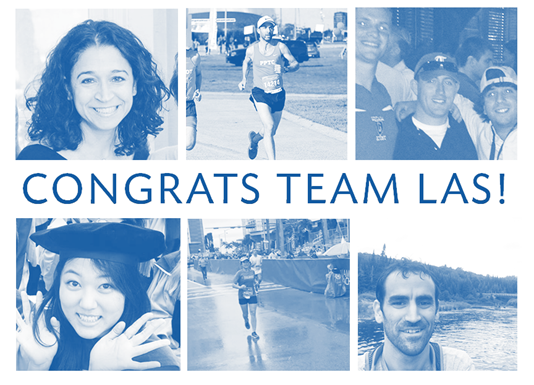 On Sunday March 18th, several Legal Aid Society staff participated in the 2018 United Airlines Half Marathon as members of Team LAS. Each year, members of Team LAS run to raise critical funding that supports our life changing work and to raise awareness about the needs of our clients. Our runners join a legacy of over 80 staff and supporters who have run on behalf of The Legal Aid Society and raised over $200,000 since 2012. This year, our runners braved a particularly cold winter morning before setting off on their 13.1 mile run that took them from Prospect Park in Brooklyn, to Times Square and across the finish line in Central Park – all in the name of equal access to justice. Please join us in congratulating your colleagues on a job well done! If you are interested in running on behalf of The Legal Aid Society in the 2018 TCS New York City Marathon, please email Matt Hanifin in the Development Office.